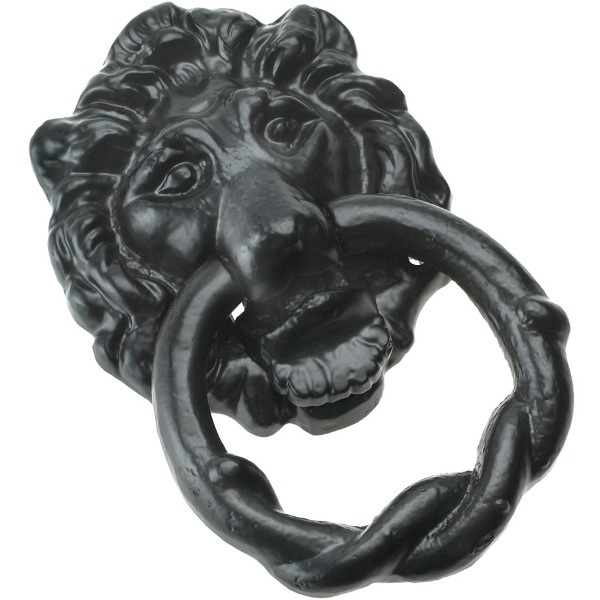 This impressive Lion's Head Door Knocker from Eliza Tinsley comprises of a lions head holding a ring knocker, designed to be attached to your front door and made in the style of traditional ironmongery giving it an authentic antique appearance. The black finish adds to its traditional antique charm. 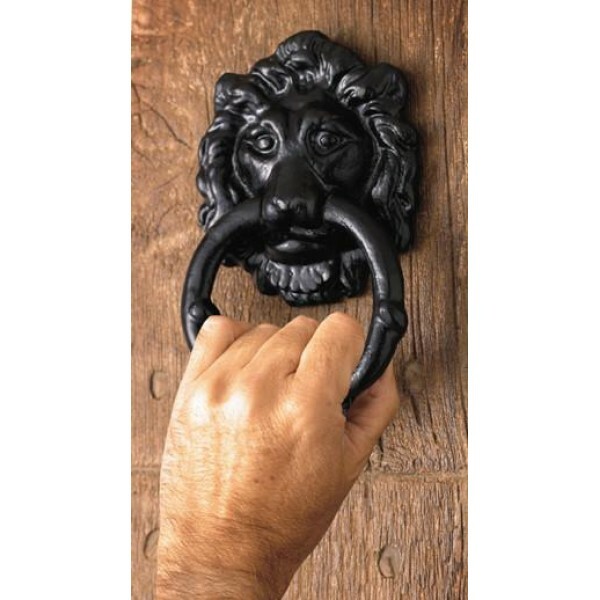 This door knocker is supplied with fixings and is easy to install.